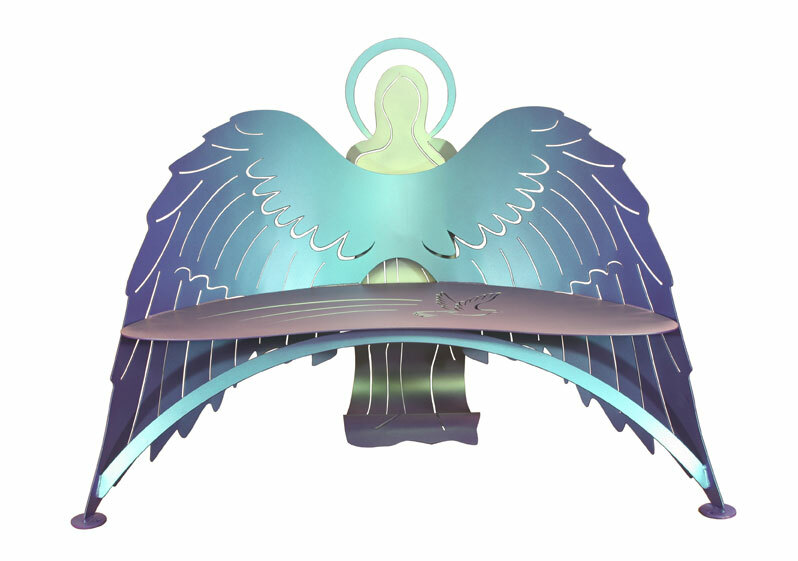 You don't have to be a "flower child" to love this new design from Cricket Forge. 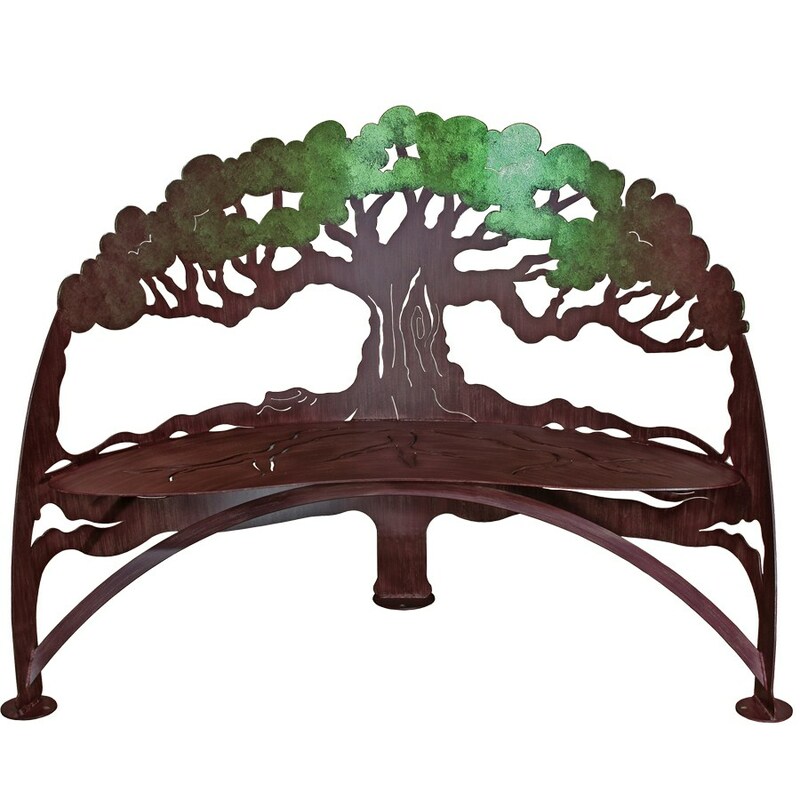 Crafted from 1/4″ steel, zinc galvanized to prevent rusting and hand painted or airbrushed with high quality marine grade epoxy paints, this bench would be a sweet addition to any garden, but wouldn't it look great indoors, too?! Bench is stamped “Cricket Forge” for authentication. Please allow 3-4 weeks for this hand-crafted item. 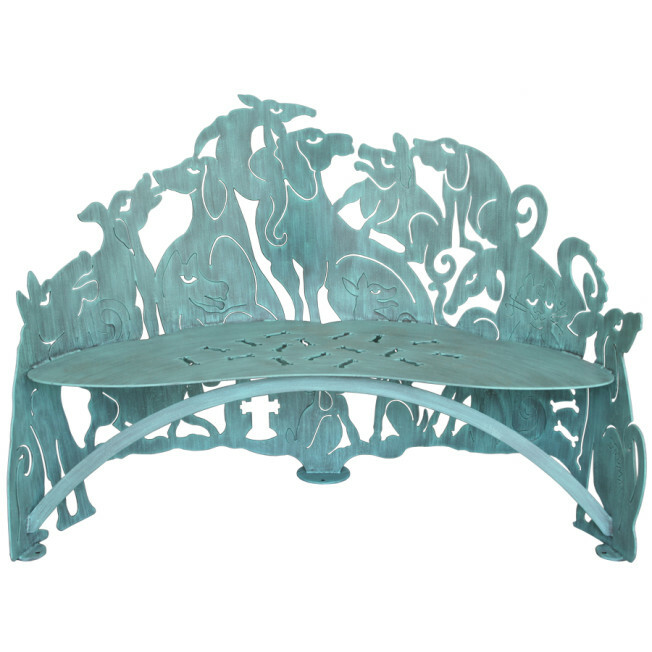 No bones about it, this bench is a great choice for the canine lover who enjoys expressing their creative, artistic, eclectic and fun side. This pack of dogs appear unaware of the cat hanging out with them. 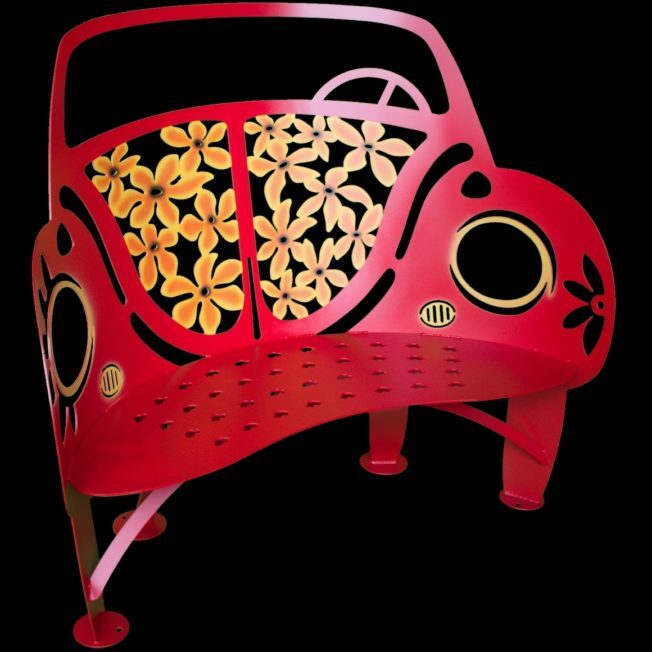 A scattering of bones cut out in the seat add even more fun to this special piece. 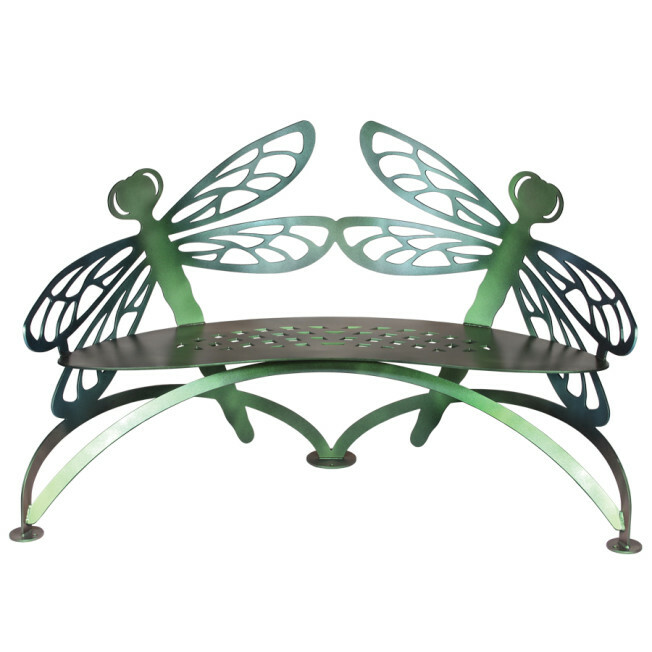 Beautifully designed by artist Don Drumm of Ohio and elegantly rendered by Cricket forge​ Crafted from 1/4″ steel, zinc galvanized to prevent rusting and hand painted in our exclusive Verdi color high quality marine grade epoxy paints. Koi fish rarely stop moving and are capable of swimming up strong currents. Thus, the symbol of the koi is said to represent energy, strength and good fortune. 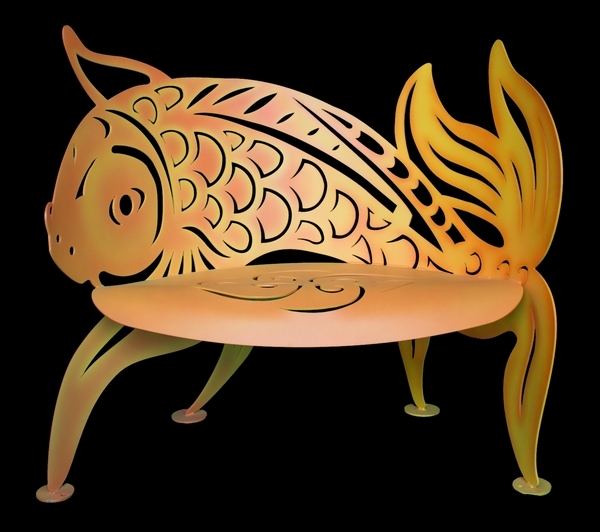 This bench design integrates the curves and movement of these beautiful fish with the sense and tranquility we experience from rippling waters. Crafted from 1/4″ steel, zinc galvanized to prevent rusting and hand painted in various shades of orange and yellow high quality marine grade epoxy paints. 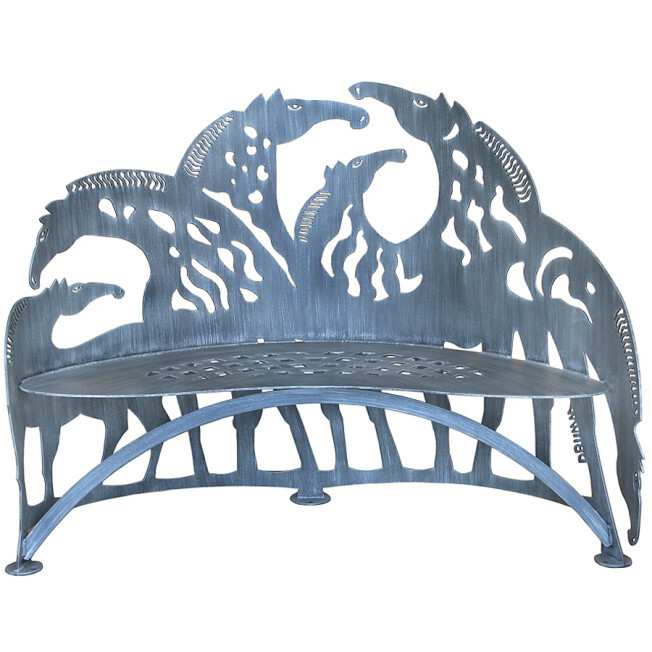 Beautifully designed by artist Don Drumm of Ohio and elegantly rendered by Cricket forge, discover the grace and community of wild horses in this Horse Bench. Each horse is detailed in a unique pattern of stripes and spots, together making up an incredible composition which is sure to become your favorite resting spot in your home or garden. Crafted from 1/4″ steel, zinc galvanized to prevent rusting and hand painted with a dry brush technique in grey high quality marine grade epoxy paints. Other colors available.